Our club's newest member Rebecca Gardner (center) was sworn in at our lunch meeting. 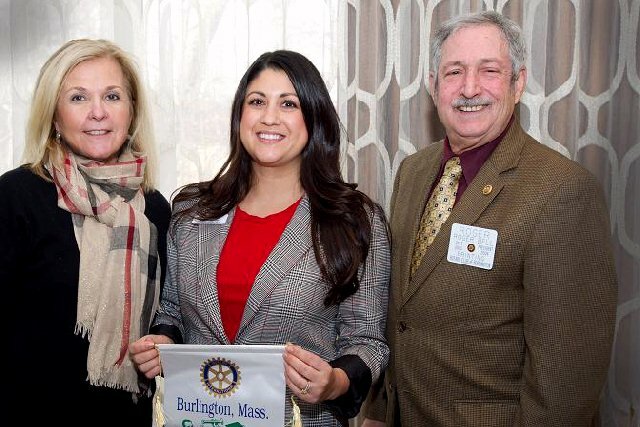 Rebecca is a Past President of the Billerica Massachusetts Rotary Club. She is shown above receiving her club banner with club President Beverlee Vidoli and club President Elect Roger Bell.